New York City-based fashion brand A Peace Treaty just released a video campaign for their Harlem-inspired Fall 2018 collection. Taking inspiration from 1970s Harlem, designer Dana Arbib looked to films like Cleopatra Jones for silhouettes for the collection. Arbib also created prints and patterns that emulate the African-inspired paintings of Brooklyn artist Mickalene Thomas and Harlem street scenes by photographer Anthony Barboza. The video campaign, which was titled “Midnight Woman in Harlem”, was directed byAkin Adebowale and Arie Esiri, the founders of luxury African e-commerce platform Oxosi. 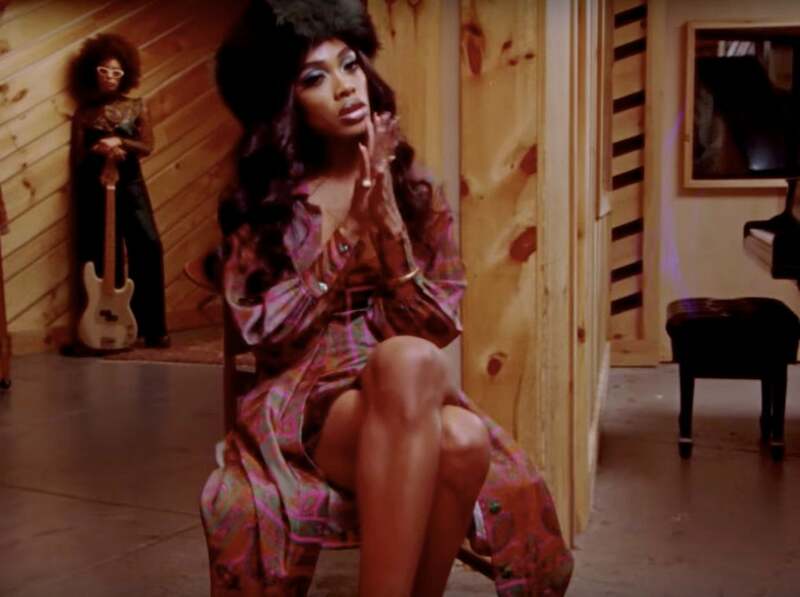 It also features singer-songwriter and model MAAD as the lead female in video. The video also pays homage to Diana Ross, Aretha Franklin, Chaka Khan and more. Additionally, the video was produced by an amazingly diverse team of 90 percent women and over 95 percent people of color. Check out A Peace Treaty’s video campaign for the upcoming Fall 2018 collection above.